A friend posted a link today to an article on the paradoxes of positive thinking. It got me thinking, as usual. I’m a fantasist. Always have been. The problem was, I spooked myself. My words stuck in my throat; I went white as a sheet. Without telling anyone what was wrong, I was suddenly running across that paddock in the dew-damp grass, and crashing into the house, an eleven-year-old blubbering mess. Virginia Point’s poor dad who’d invited us to the farm freaked, called out to the helper mothers who looked on helplessly. I never recovered. I had to go back home early. 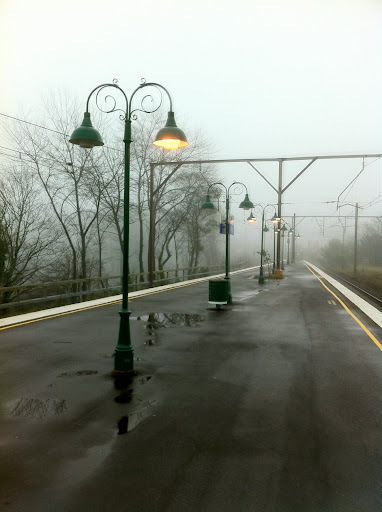 For years, passing through Bullaburra gave me chills. Seriously. If you’ve ever been there, you’ll back me up: the place is creepy. I can imagine things. Vividly. And for 20 years, I’ve imagined myself being a writer. Oh, I’ve done more than imagine. I’ve sat down at the computer and tapped out a million words. I’ve even submitted to competitions, imagining all my effort one day would lead to publication. One day. Meanwhile, writing buddies started getting agents, contracts, release dates, invitations to speak at conferences, mega-buck advances, galley proofs (whatever they are), and review copies, and I let that all wash over me. I’m patient, right? And I was busy visualising my success, so it had to come to me. Problem was, I rarely, almost never submitted anything. But this year, my strategy changed. My New Year’s resolution was to stop writing and start publishing. It was a good resolution, as resolution goes. Except for one, tiny thing. Yep, you guessed it. I still had to do something. Let me paint a picture for you. All those stories I’d written over the years, the ones that had bravely travelled from my brain to the computer, had got stuck there. Stuck in a traffic jam bigger than that made by ants in the kitchen when they find Rodney’s homemade marmelade. Stuck in that delicious sweetness of possibility, of imagining, an ambrosia untainted by failure because none of them had ever been out there, never had the slightest chance of getting rejected. Always, there’s that sweet, sweet dream. One day they’d be published, right? The problem was, it wasn’t up to them to do it. They weren’t about to leap out of the computer and make it happen. That tedious job was for someone else. Someone like – surely not? – their creator, the imaginer, the fantasist…(gulp)… me. So, what exactly was needed? A good cold dose of pessimism. At some point, the cold shock finally hit me that nobody was going to publish my stories if I didn’t get them out there. I. Had. To. Act. Easy, huh? So why has it taken me 20 years? Whoo-hoo! What a thrill. I updated my status on Facebook and my writing buddies cheered. I’d finally received an acknowledgement. Not a sale. Not even a Better Quality Rejection Letter (one of my previous year’s aims). A consideration. My story was through to a second round. It has a *chance* of publication. Yet, when the fuss died down (and there was a fuss, thank you, buddies) I was left feeling just a little bit foolish. Somehow the rest of that saying about positive thinking had escaped me. The part that said it has to be followed up by positive acting. How come I never heard before? So, little story, as you venture out into the second round, if those editors don’t like you, I won’t forget and let you languish. I’ll send you off on another journey into publication land. Again and again, if necessary, till you find a home. Here’s a photo of my writers group a few years ago. 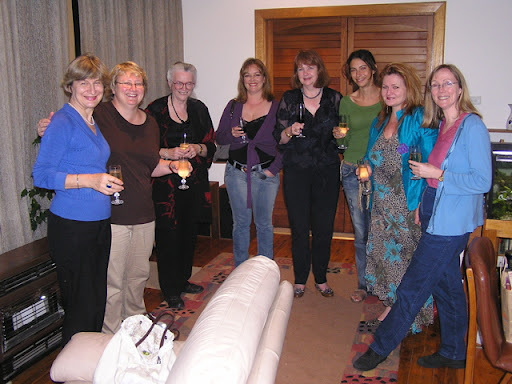 From left to right are Isolde Martyn (multi-award winner, including Rita award), Anna Campbell (multi-award winner), Caroll Casey (published in short fiction), multi-published Cathleen Ross, Kandy Shepherd (multi-award winner), Simone (helped edit best seller Marching Powder), Leisa O’Connor and me. Missing are Pan Macmillan author Christine Stinson (probably holding the camera) and Ned Kelly award nominated thriller author Jaye Ford and former members, children’s author Felicity Pulman and award-winner Susan Parisi. Okay so I’m not the only one still unpublished, but almost. But you just watch. That’s all about to change. Wonderful, honest post Elizabeth–and congratulations on the "considering" status of your story! !Anyone reading this can tell what a marvellous writer you are. I'm sure this will be an inspiration to many. Thank you, Kandy! You're one of the writers I know whose writing voice really reflects your quirky humour and big heart so you're already my inspiration. MartyrQuilters - piecemakers reluctantly giving up housework! Hi Lizzie, beautifully inspirational. I had started to passionately dislike my "eternal optimistic" views at home and at work; your account is food for thought as I need it. You are a beautiful writer! I relate to the fantasy so much! I’ve spent the day doing it! You will be published soon Elizabeth. I know it.